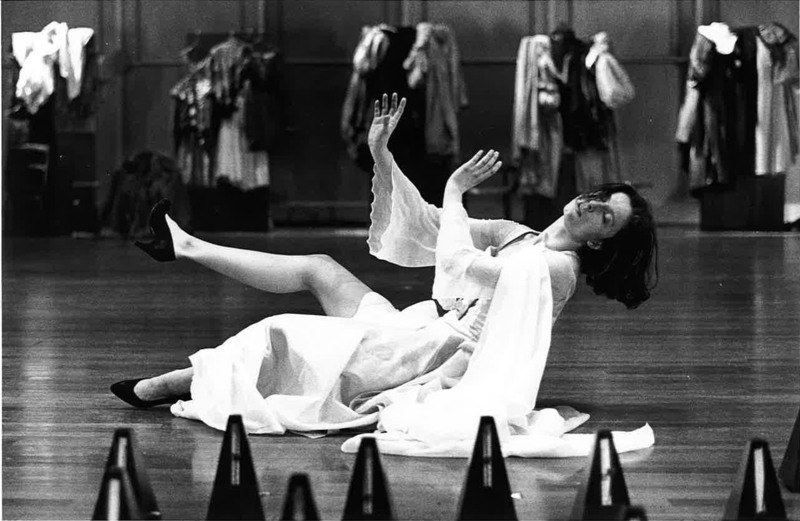 Anna de Keersmaeker choreographed and toured Stella through the cities of Zagreb, Vienna, Antwerp, Moscow, Rotterdam, Glasgow, Zurich, Paris, Rouen, and Berlin, before showing it in 1990 at The Kitchen in New York City. In this piece, five women danced to Gyorgy Ligeti’s Symphonic Poem for 100 Metronomes in motions ecstatic and mundane while speaking text from Goethe’s play Stella, Kurosawa’s film Rashomon, and Elia Kazan’s film adaptation of Tennessee William’s A Streetcar Named Desire. By blurring the definitions of dance and theatre, Keersmaeker explored the lines between the public and private emotional lives of women.